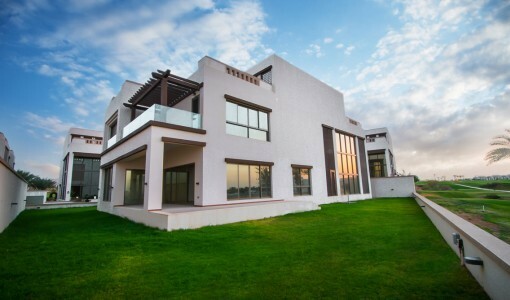 Recently developed Luxurious 5 bedroom villa in Phase 2 Muscat Hills. The villa sits on a large land of nearly 800 m2. The Villa enjoys a double height entrance lobby which leads into a large living and dining space overlooking a private garden beyond which are the views of the Golf Course. An open kitchen with fully fitted white goods overlooks the dining area. All bedrooms have ensuite bathrooms with dresser. Tall windows ensure that the villa is naturally well-lit.